1 Upcoming Stephen King Movies | This Blog Rules | Why go elsewhere? 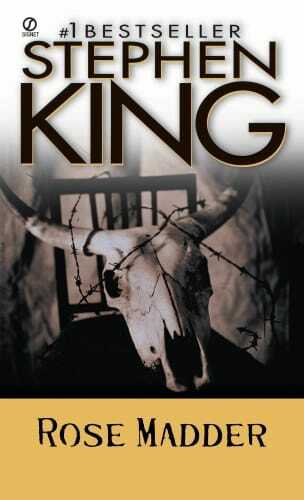 Is there anyone out there who hasn’t read at least a novel by Stephen King? If there is, we’re pretty sure everyone has seen at least a movie adapted from a book by the master of horror. The first movie based on a book by Stephen King was Carrie, directed by Brian De Palma in 1976. It has achieved cult status and it’s still considered one of the best Stephen King movie adaptations. We want to take a look at the upcoming Stephen King movies because there are few that are being produced as we speak. I remember seeing the first incarnation of It when I was very young. It was a three-part TV movie that scared me to death. 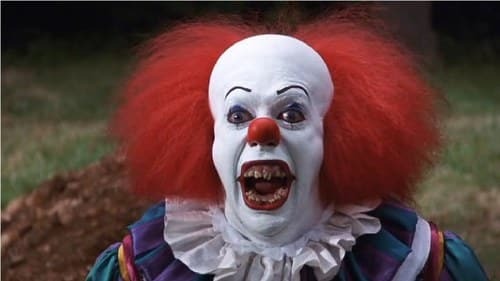 I used to have nightmares every night after seeing the evil clown Pennywise. When I got older I read the book and it’s way more profound and terrifying. Now, rumors have it that True Detective director Cary Fukunaga will be making two movies based on the Stephen King novel. They are already working on a script and we’re dying to see the result. It will probably start filming in 2015. Rose Madder is one of my favorite Stephen King novels. It’s one of the least known one and, in my opinion, one of his best. Stephen King is more terrifying when he writes realist fiction because there’s nothing scarier than human nature and Rose Madder delivers one of the creepiest book character ever. I was super glad to find out that it’s going to be one of the upcoming Stephen King movies. In the hands of a visionary writer and director it could be made into a brilliant cinematic experience. Recent news announced that the critically acclaimed 11/22/63 will be made into a movie soon. This is one of those upcoming Stephen King movies a lot of people are waiting to see. 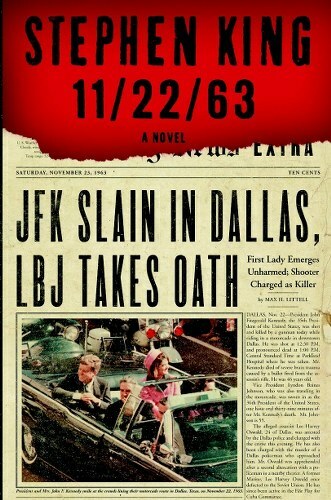 The book is about the assassination of JFK and how a man tries to go back in time and try to stop it. J.J. Abram has said that his production company will turn it into a nine-hour TV series. So stay tuned to Hulu because that’s where this upcoming Stephen King movie will broadcast. 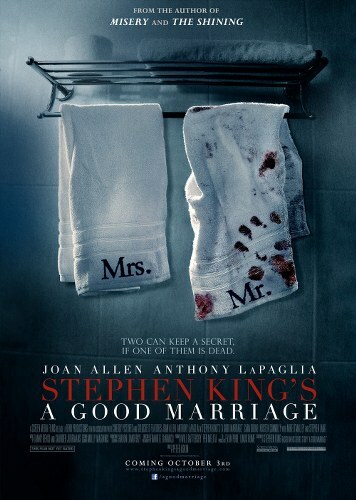 One of the upcoming Stephen King movies is A Good Marriage directed by Peter Askin and written by Stephen King himself, adapted from his collection of short stories Full Dark No Stars. The movie is starring Kristen Connolly, Joan Allen, Anthony LaPaglia and Stephen Lang. A Good Marriage will be released on October 3. We’ve seen the trailer and it looks great. P.S : read the short story. This is one of the most anticipated upcoming Stephen King movies. 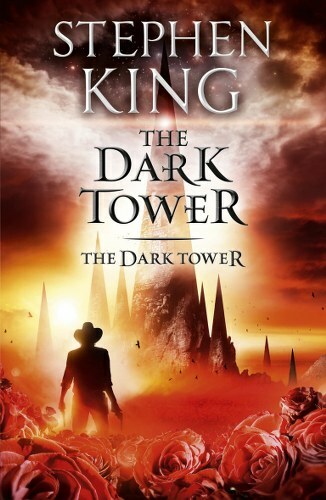 It’s mostly anticipated by the fans of The Dark Tower books and it was rumored at one point that it will made into a movie by JJ Abrams, then announced as a trilogy. Some say that Javier Bardem was going to play Roland Deschain but we still haven’t heard any official confirmation. If and when it will be made, we don’t know for sure, but one thing’s certain: it could be an epic fantasy movie in the hands of a great director. Another one of the upcoming Stephen King movies is Cell. The movie is already in post-production and it will star John Cusack and Samuel L. Jackson. Cusack and Jackson have already appeared together in another Stephen King movie adaptation called 1408. 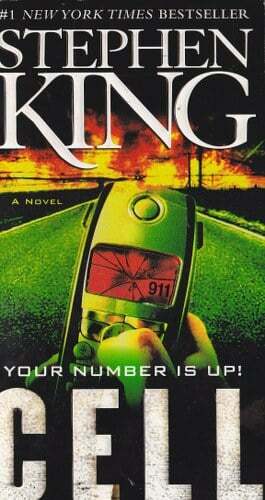 Other upcoming Stephen King adaptations are Gerald’s Game, Big Driver and Lisey’s Story. Are you as Stephen King fan? What book would you love to see made into a movie?